The Spring Marketplace will be at the Oh So Charming Cottage this coming Saturday and I will be there with a special sale on vintage Hanky Dresses. I'm also a vintage addict so I will have lots of other vintage and upcycled items for your home as well. 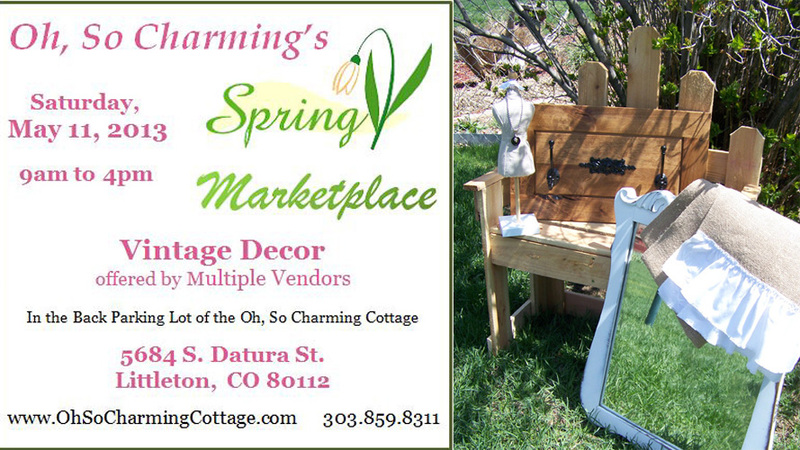 Several vendors will be set up all around the Cottage...so come and join the fun in the garden at the cottage. Do you have a tutorial available? Thank you for your inquiry. 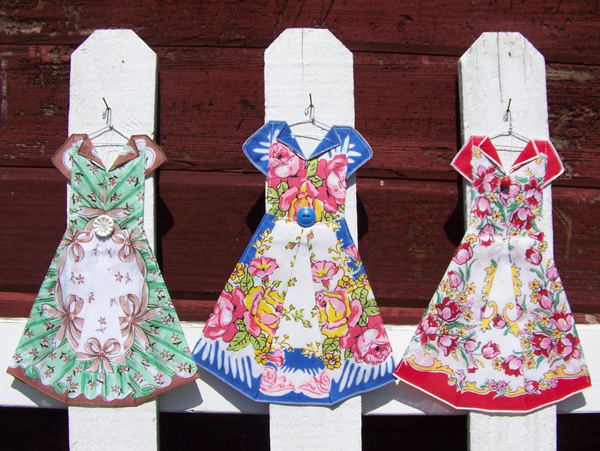 I do not offer a tutorial for this style of my Hanky Dresses. However, I do custom orders using your hankies. Please contact me if you would like to pursue this option.